Join Santa Claus for the most important meal of the day! 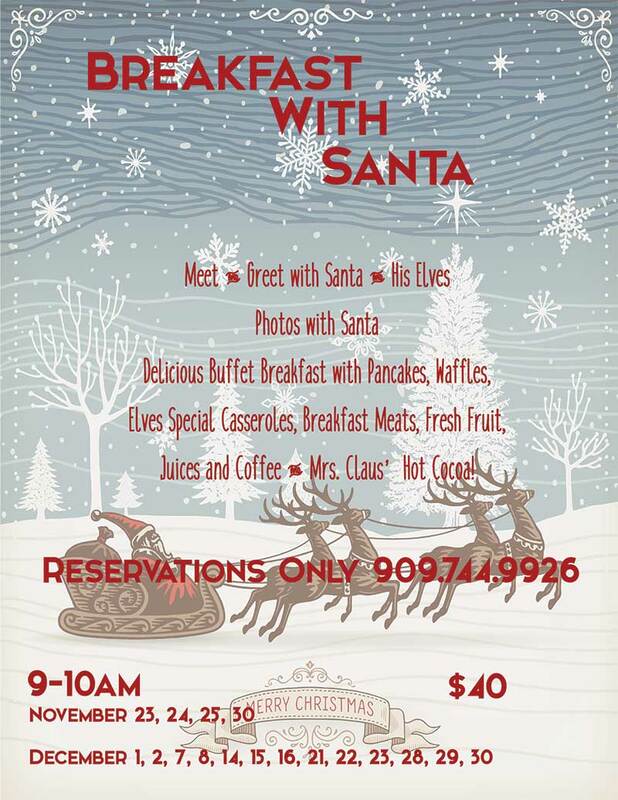 Guests of all ages are invited to enjoy a fun filled, whole hearted breakfast party with Santa and his Elf family in his very own private dining room. All the Good Girls and Boys will have time to interact with Santa and make sure he knows what they want for Christmas. Make sure you still write your letters to Santa, too. There will be opportunities for pictures with Santa and the Elves, as well! A hearty breakfast will be served buffet style. It will be filled with all of Santa’s favorite holiday themed breakfast treats, such as Reindeer Pancakes, Snowman Waffles, Elves Special Egg Casserole, Breakfast Meats, and Fresh Fruit. Drinks, like Juice and Milk and Mrs. Claus’ Special Hot Chocolate will also be provided to help all the Good Girls and Boys grow strong and healthy. Coffee and tea will be provided for the adults. Santa and his Elves are very excited to take the time to interact with each Guest. 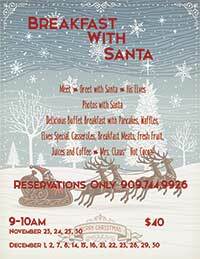 Breakfast with Santa is available during Christmastime. Join our beautiful and delightful Mrs. Claus and her Elf friends in her special dining room inside the Sky Trading Company. Thursdays through Sundays during the holiday season at 1pm and 3pm enjoy an eclectic, fun filled afternoon of tea, dress up, and stories. Just like the fun Mrs. Claus has with her Elves! We will have a trunk full of fun accessories, like boas, gloves and hats to give the tea some extra flair. Feel free to bring your own high tea bling! During Mrs. Claus’s Tea Party, children ages 4 and above are invited to have a grand old time taking pictures. 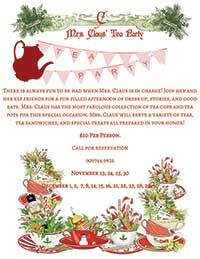 During our holiday themed high tea party, Mrs. Claus will teach children of all ages about tea etiquette. 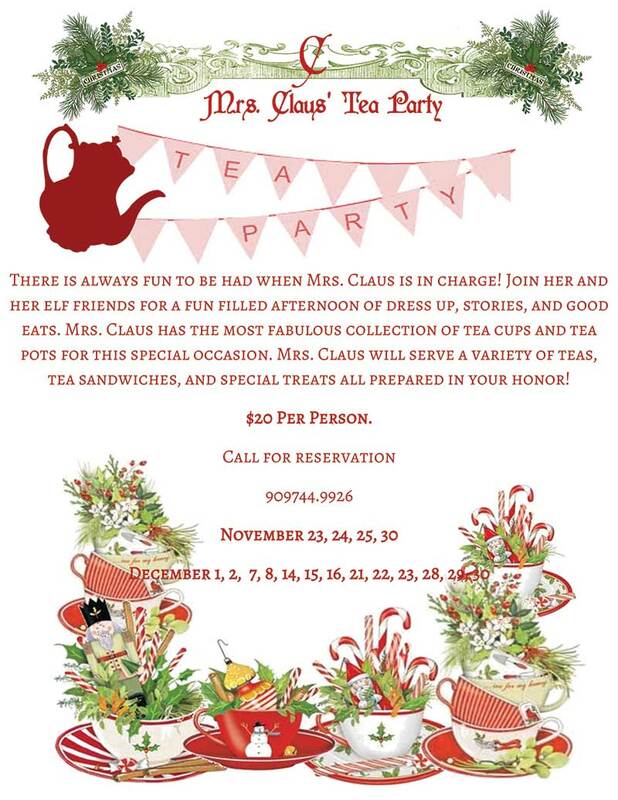 A variety of teas and yummy high tea treats will be served on Mrs. Claus’ impeccable china. Enjoy delicious scones, finger sandwiches and sweet little cakes. Only the best tea cups and tea pots for her guests on this special occasion! 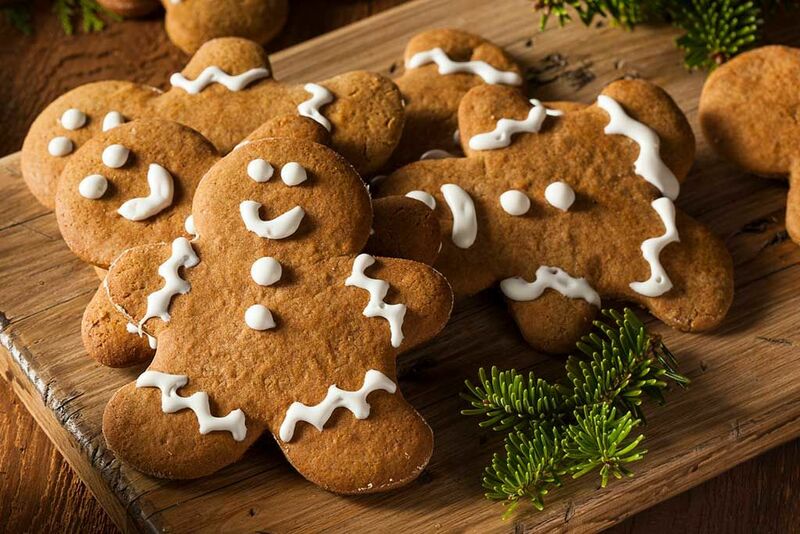 Stop by in between Mrs. Claus’s Tea Party for a chance to join one of her cookie decorating classes! Mrs. Claus always welcomes guests and loves to read them stories, so grab your boa and your smiles and join the best party in town! Tea with Mrs. Claus is available during Christmastime. 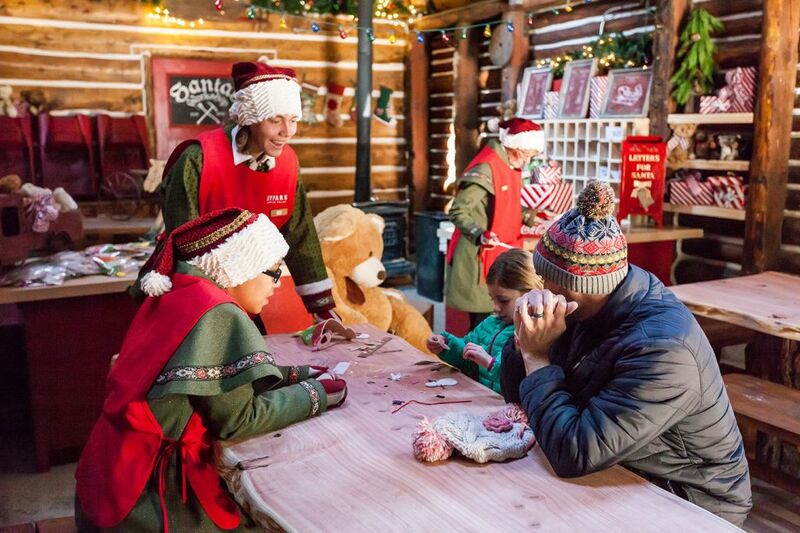 Santa’s Elves will be holding special Crafting Classes for Guests in Santa’s Workshop. Guests can their own, unique Christmas gift. These crafts may require parents to help younger children. Crafting Classes are available during Christmastime. 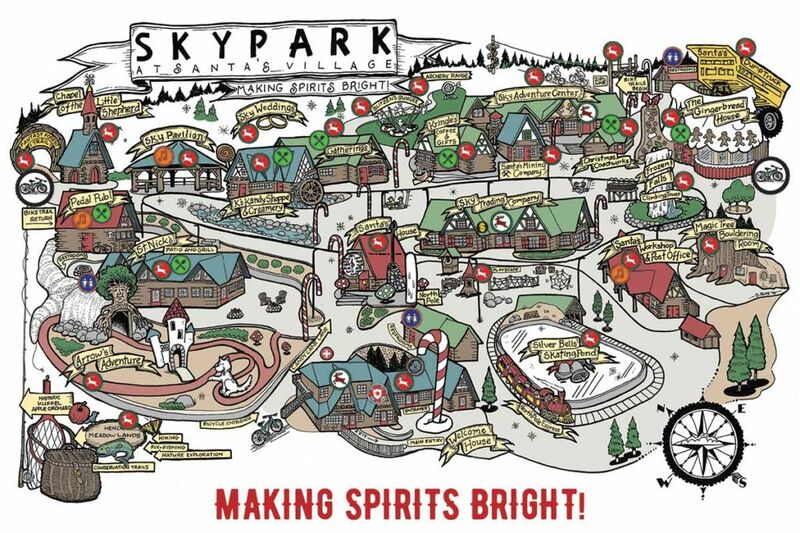 Guests have the option of attending Cookie Decorating classes inside the Sky Trading Company. This is where Guests can go to learn special cookie decorating techniques and decorate a miniature gingerbread house or a giant gingerbread man cookie. Cookie Decorating classes are available during Christmastime.